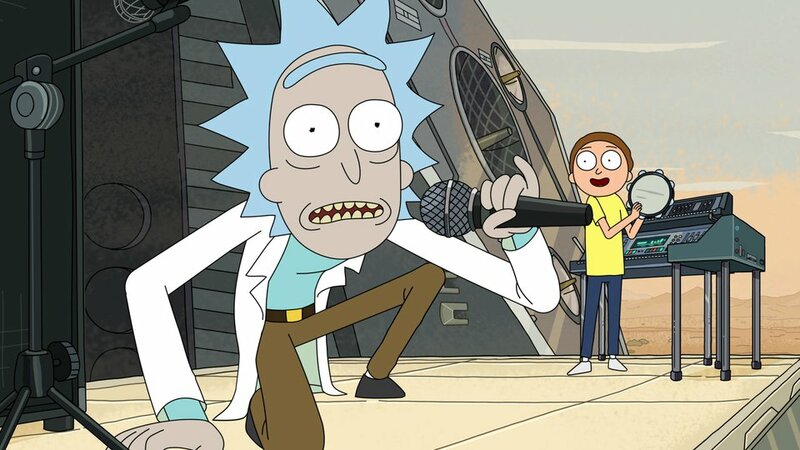 If you haven’t seen Rick and Morty, do yourself a favor and stop reading this review to start season one and when you’ve caught up, cash me ousside! With that out of the way, this is my first time reading about some of my favorite Rick and Morty characters in an original graphic novel. I was amused and good times were had. It’sThe graphic novel is not without its faults though. For example, telling a hilarious story across different mediums isn’t easy and as a result, some of the tight pacing and quick lines are lost when in a written format. There’s just something missing without the fantastic voice acting and editing that forces the viewer to hold on to the rollercoaster or get thrown off laughing. In graphic novel format, the reader can go at their own pace, in my opinion, messing up the humor. The story is cute. Mr. Poopybutthole, fresh off an incident that happens in season 2 of Rick and Morty, turns to Summer for help. Before too long though, we find out that our little protagonist is hiding a secret that will propel the plot of the rest of the graphic novel. Along the way, we’re treated to the equivalent of post-credits involving Rick and Morty, but the real benefit of this side story allows for writers to explore side characters that might not get a full adventure by themselves in the show. As such, it’s fun to see Summer get her own time in the spotlight. Lil Poopy is cute and has plenty of amusing moments where his craziness plays off the straightness of Summer. So what if you don’t like Rick and Morty? Well, I’m not really sure what to say to you, but yeah … this graphic novel isn’t going to win you over. This is really for fans of the show and everyone else might find this quaint, but I can’t see it making sense and winning over folks not familiar with source material. Keep readin’ my articles kind folk!